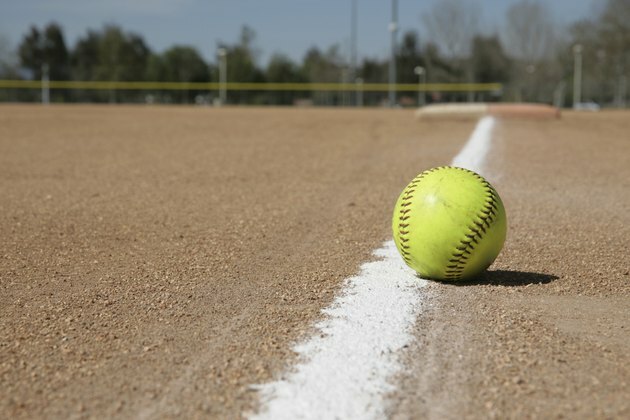 The Amateur Softball Association of America sets the governing rules for amateur softball in numerous leagues throughout the country, including leagues with players 8 years old or younger, called 8U players. The ASA 8U rules are limited to field dimensions and equipment requirements, rather than the rules of the game. Local 8U leagues typically modify the rules of the game to ensure that 8U players learn the fundamentals of the game while having fun. ASA rules require the field dimensions for 8U players to be 60 feet between the bases and 35 feet from home plate to the pitcher's plate, sometimes called the pitching rubber. The bats and balls used in the game must be approved by the ASA and bear the ASA certification mark. Helmets are required for all batters and base runners. The catcher must wear a protective helmet and face mask, although ASA rules permit any defensive player to wear a protective mask. However, some local leagues require all defensive infield players to wear a protective mask. Players who do not wear the mask must play in the outfield. Players do not pitch in an 8U league. Pitching is done by the coach for her team, which is why some 8U leagues are called "coach pitch" leagues. The opposing team’s "pitcher" stands next to the coach on the pitcher's plate ready to field a batted ball. The coach must make every effort not to interfere with a ball in play. If a batted ball hits the coach, the ball is dead and the play is done again. If the umpire believes the coach intentionally interfered with a batted ball, the batter will be called out. Because an important aspect of 8U league play is learning the fundamentals of the game, some local league rules allow one defensive coach to be in the field of play. The defensive coach must stand in the outfield and only coach the defensive players between plays, not while the play is occurring. Other leagues restrict the defensive coaches to the areas outside the dugouts, off the playing field; however, usually no restrictions are placed on these coaches calling out instructions while a play is occurring. ASA 8U leagues typically require all players to be in the batting order. Modifications of the batting rules are quite varied. Most leagues do not allow walks and some do not permit strikeouts either, instead simply declaring the batter out if the ball is not put into play within a certain number of pitches, such as five. Bunting and half-swings are not permitted. Base runners must stay in contact with the base until the ball is hit; in other words, there is no leading off a base. Runners also cannot steal a base.